CSIRO scientists have produced Australia’s first entirely home-grown carbon fibre, paving the way for Australian industry to mass-produce the next generation materials, used in everything from bicycles and tennis rackets to satellites and fighter planes. The breakthrough was announced by CSIRO’s Chief Executive Dr Larry Marshall in an address to the National Press Club in Canberra today. “Cracking the carbon code will allow industry to manufacture this incredibly strong and lightweight material for the first time from scratch, using Australia’s own top secret recipe,” Dr Marshall said. Carbon fibre is only made by a handful of manufacturers around the world, each of whom hold their own secret, patented recipes. “From wind turbines to aerospace, even the latest Mustang wheels, a carbon fibre industry signals the kind of reinvention needed across Australian industry, shifting our focus from raw exports to high value products to retain our global competitive advantage,” Dr Marshall said. Carbon fibre combines high rigidity, tensile strength and chemical resistance with low weight, and is used in everything from aviation and defence to space and car manufacturing. 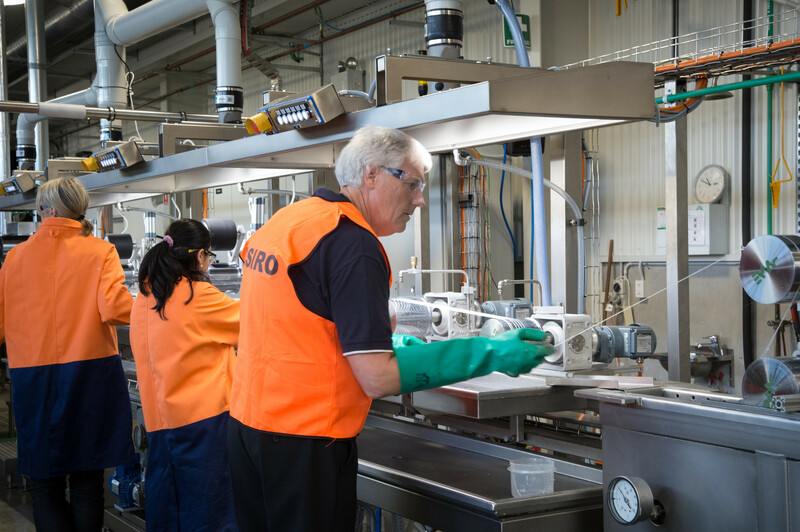 Today’s announcement that Australia has joined the elite club of carbon fibre manufacturers using CSIRO patented technology is the first step in creating a generation of carbon fibre that is stronger and of a higher quality. “We want to unlock carbon fibre’s full potential,” CSIRO Research Director Dr John Tsanaktsidis said. “On our first attempt we created car-quality carbon fibre – we now expect to improve on that result and produce aerospace standard carbon fibre. Australia’s first carbon fibre was produced using polyacrylonitrile fibre, spun on the joint CSIRO/ Deakin University wet spinning line, then carbonised at Deakin’s “Carbon Nexus” facility. As part of our Strategy 2020, CSIRO has produced a series of Industry Roadmaps outlining challenges and opportunities faced by a number of sectors crucial to the Australian economy. Released in November 2016, the Advanced Manufacturing Roadmap revealed a blueprint for how Australian manufacturers can survive and prosper in an uncertain future. For more information, please visit our website Advanced manufacturing roadmap. CSIRO and Carbon Nexus researchers inspect Australia’s first carbon fibre. CSIRO’s new carbon fibre subjected to the flame test. Australia's first ever carbon fibre being manufactured. 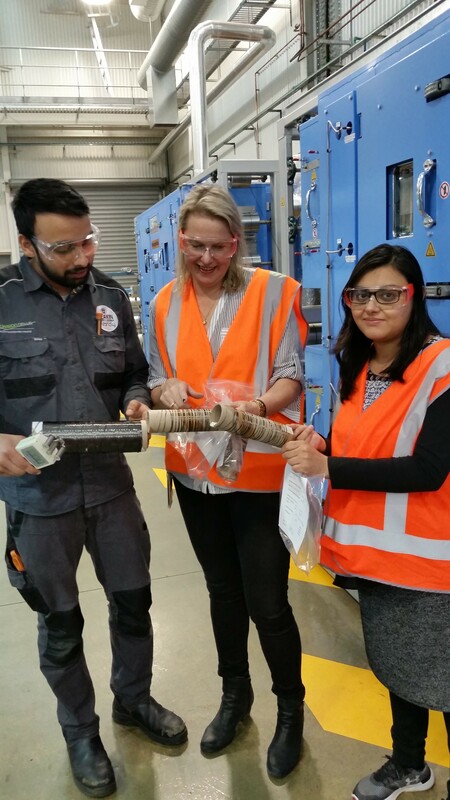 Australia's first carbon fibre being carbonised at "Carbon Nexus".